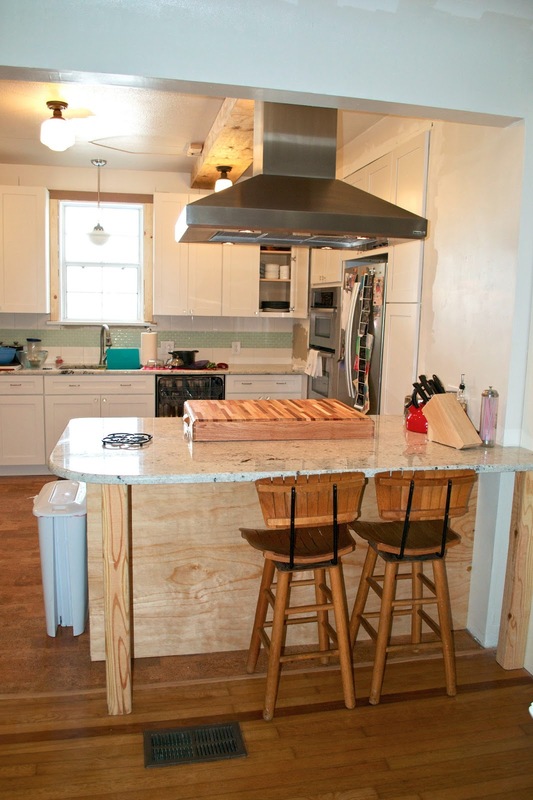 Months ago, Nate made an off-hand comment about how it would great to have something to cover the cooktop when we weren't using it so we would have the whole peninsula for prep space or for laying out food for a party. This idea became more and more appealing as we thought about it more to the point that we looked around to see if we could buy anything that would serve our purposes. 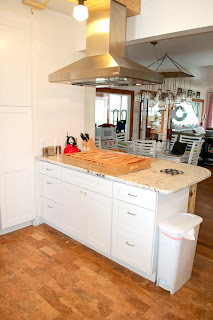 While they do sell products that cover part of the cooktop, we really liked the idea of having the whole cooktop covered. 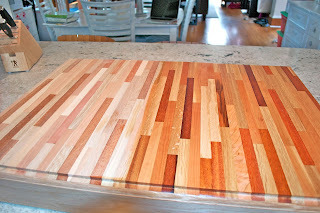 So, Nate called the best woodworker we know, his dad, and gave him a rough idea of what we wanted and the dimensions of our cooktop. He very generously said he would try and design something for us and a little over a month later this showed up at our door! It fits perfectly over our cooktop and all we had to do was oil it up a bit (left side is pre-oil) and we had a completely custom cutting board. 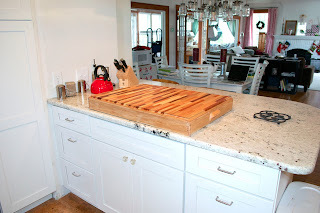 It's pretty amazing because when it is in place, it looks like a super thick solid cutting board that we have on our counter but whenever we need the cooktop, we just pop it off. The other great thing about the king (as we will now refer to the cutting board as) is that the knobs for the cooktop are now only exposed when we want them to be so no curious hands can fiddle when we're not around. The fact that we have a gas cooktop makes covering it fully a little easier than an electric cooktop since it's basically impossible to leave a burner on but we obviously make sure all the burners are off and the grates are cool before we put the king back but once again, since it's a gas cooktop, everything cools off very quickly. The prep space that the king creates is amazing and the raised height is really awesome when you are doing a lot of cutting. It also allows us to work on both sides of the peninsula on different things and each have plenty of room. Overall we are loving the king and we are super lucky to have people who can help bring our crazy ideas to fruition. A big huge thanks to Nate's dad for building this for us! That looks fantastic! Great idea! Love your kitchen space too! Nate and Cassandra!!! First off, I love your blog. I think I stumbled on it via Facebook or something, but I really enjoy reading about your home improvement projects. 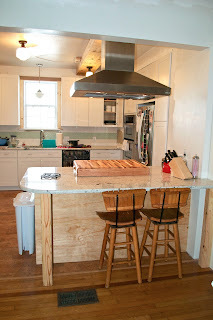 I bought an old house back in 2009, and although haven't made such drastic changes, look to your blog for inspiration! Secondly, how ARE you!? Miss you guys a lot, and still look back on those old Bill Basement days fondly. Congratulations on baby! 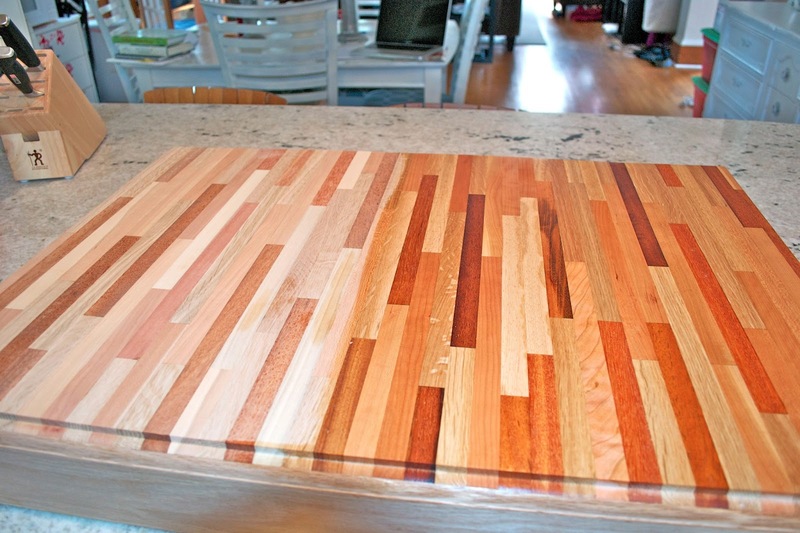 THIRDLY: THAT CUTTING BOARD RULES. What an awesome idea to extend working space. And it's so pretty. Kudos on the idea. Hope you're feeling well, Cass, and hope our paths cross soon! how lucky you are to have someone to deliver such a hand made masterpiece. This will last forever! love your new cutting board! The King looks great-awesome! However, I'd be calling Nate's Dad the KING! :) Great design & awesome woodwork!